For those of us campaigning for a fairer fund industry, and a bigger role for low-cost, evidence-based investing, the last few years have been a constant struggle. We’ve had plenty of talk from politicians and regulators about tackling excessive and opaque charges, but precious little action. The trade bodies have become masters of hinting at positive change for the consumer while doing their damnedest to keep things exactly as they are. But, on many levels, 2014 has given us cause for optimism. For a start it was a disastrous year for active fund managers, who recorded their worst annual performance for more than 30 years. We also saw yet more studies confirming that the odds of identifying in advance a manager who’ll outperform the market in the long term are somewhere between 100 and 200 to 1. An independent report for the UK Government highlighted the appalling value that active managers provide to the Local Government Pension Scheme, and a study by the European Commission-funded consumer group Better Finance found that the UK has some of the worst performing pensions in Europe, alongside Italy and Spain. In recent weeks, there’ve been two damning reports on the fund industry - one by the Financial Services Consumer Panel and the other by the Independent Project Board. Between them they portray the industry as exploitative, badly managed and lacking in transparency. In some cases, said the IPB, savers are losing up to two-thirds of the value of their savings in compound charges - even before transaction costs are factored in. The fund sector has a whole support industry in tow. It comprises financial advisers, platforms, fund supermarkets and brokers; researchers, consultants and lobbyists; advertisers, PR experts and - whether they realise it or not - many money journalists. Regulators Time is running out for the Financial Conduct Authority and politicians from all the major political parties to show that they really can protect consumers from the worst excesses for the industry. Swift and decisive action is required. Fund companies need to be told exactly what they have to do to clean up their act, when they need to do it by and what punishment they will face if they fail to do so. The media The newspaper money sections are perfectly well written, but all too often it seems their only real purpose is to carry expensive adverts for actively managed funds. Also, the constant focus on the ups and downs of the markets encourages investors to trade when in most cases they’d be better off doing nothing. We’d love to see some serious investigative journalism about the investment industry and the global pensions crisis, and much more reference to cheaper and more logical alternatives to active funds. Advisers It can’t be easy for an experienced financial adviser who’s built his or her business around chasing performance and moving clients’ money from fund to fund to acknowledge there’s a much better way of doing it. But one of the consequences of the Retail Distribution Review is that many older advisers are choosing to retire. Our hope is that the new generation of advisers will be more willing to study the evidence on active fund management and to provide consumers with what they need rather than what they want to sell them. Fund companies Sadly the fund industry has proved time and again that it can’t be trusted to reform itself. But the very least we can expect of it is that it shows a little more honesty. Not just with investors, but also with policy makers and the media. With advisers who still recommend its products. Most of all, it needs to be honest with itself. Honest about the vast profits it’s been making. About the true cost of active management and its dismal performance record. Honest about the overwhelming evidence that the average investor would be better off avoiding active funds altogether. 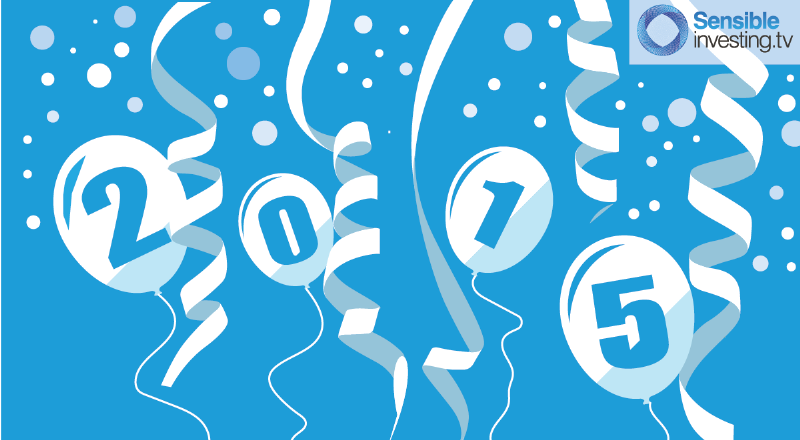 It only remains to thank everyone who’s supported Sensible Investing and shared our content in 2014, and to wish you all the very best for 2015.